These days, marketers are incorporating mobile into all their efforts to stay ahead of the game and boost engagement. However, majority of the companies are still committing some severe blunders like leading consumers to a non-optimized website which cans straightaway deteriorate the experience of the user. Mobile platform offers great opportunities for companies to reach out to as many consumers as is possible on a personal device. With the advancement of new technologies like QR codes and augmented reality, marketers are adding them into marketing mix to reach out to the tech-savvy consumers. Check out some of the common mobile performance marketing blunders. Poor execution of campaigns: Last year, there were many companies which ran mobile advertising campaigns but they had something in common and that was they were not optimized for mobile. While it is good to get creative with your campaign but without a properly executed mobile-optimized landing page, the campaign will go in vain. Marketers need to realize high time that if they run a mobile campaign, it has to be throughout optimized. Chasing only the new technologies: For majority of the big brands, mobile is all about the new shiny objects which imply most of the technological things that their competitors are using. What companies have forgotten is the rule that you should keep it simple. Marketers often tend to forget that with mobile, the job is similar to what it was, sell more stuff. There are some marketers who fail with their campaigns as they keep on chasing shiny objects rather than opting for mobile products. Following online advertising: Mobile is apparently following the well-traveled path of online advertising with the same old strategy of placing ads around the experience, thereby taking up valuable real estate with irrelevant and ignored advertising. It is vital that the marketers understand what their target audience are doing. 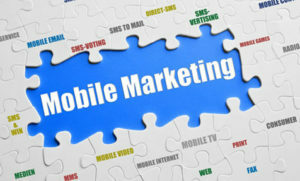 Mobile marketing holds tremendous promise for the marketers and the medium experiences a fever pitch. Not measuring their campaigns: For many years now, marketers have been talking about their dilemma of measuring the campaigns as majority of the companies run an initiative to track results. Those that do no track campaigns are missing out on a big opportunity to connect better with consumers. Therefore, if you’re wondering about the reasons behind your marketing campaign not achieving success, you should check if you’re committing any of the above mentioned mistakes.